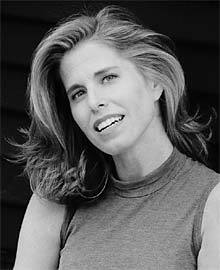 Elise Paschen is the author of Infidelities, winner of the Nicholas Roerich Poetry Prize, and Houses: Coasts. Her poems have appeared in The New Yorker, The New Republic, Ploughshares, and Shenandoah, among other magazines, and in numerous anthologies, including Poetry 180: A Turning Back to Poetry; The POETRY Anthology, 1912-2002; Reinventing the Enemy’s Language: Contemporary Native Women’s Writings of North America; and A Formal Feeling Comes: Poems in Form by Contemporary Women. Former Executive Director of the Poetry Society of America (from 1988-2000) and co-editor of Poetry in Motion (Norton, 1996), she teaches in the Writing Program at The School of the Art Institute of Chicago. Currently she is a Frances Allen Fellow at The Newberry Library. She lives in Chicago with her husband and daughter. Do you have any comments, criticism, paraphrasis or analysis of this poem that you feel would assist other visitors in understanding the meaning or the theme of this poem by Elise Paschen better? If accepted, your analysis will be added to this page of American Poems. Together we can build a wealth of information, but it will take some discipline and determination.